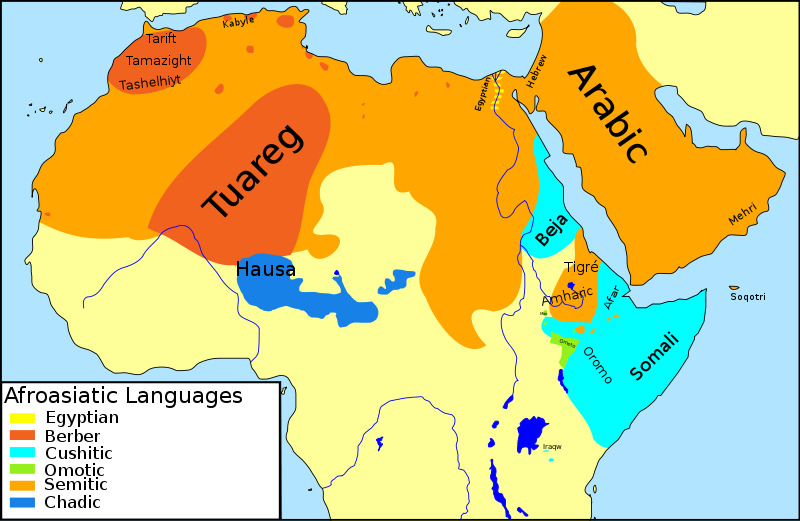 Asiatic Afro-Arabs of Africa: North Africa-Ifriqiya* / Horn of Africa and SouthWest Asia.. (Nubians, Tuareg and Beja “Sahara” People) – Billy Gambéla ጋምበላ ። Afri-Asiatic Anthropology Blog. 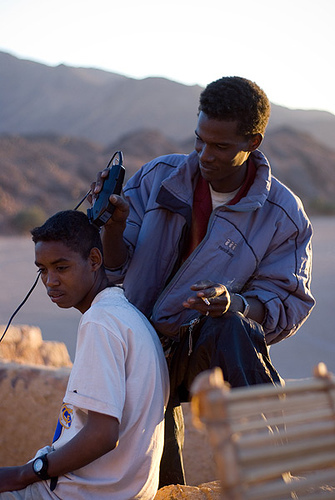 Afro-Arab (sometimes referred to as African Arab) refers to people who possess both African and/or Arab ancestry. In addition, it may refer to Arabs who are not descended from recent African ancestry, but who live on the African continent. West-Asia’s Middle east, and through recent migrations, Western Europe. The phrase “Afro-Arab“ may also refer to African Union efforts to improve co-operation between Africa and countries of the Arab world. 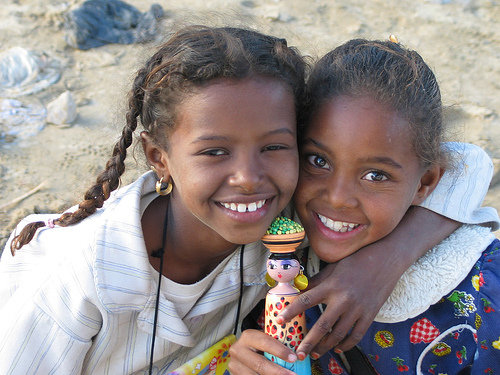 Egypt and Sudan in the east to Mauritania in the west, although much of the North African population are Berbers (a separate, native ethnic group speaking an Afro-Asiatic language) or Arabized Berbers. The Islamic world covers even more area, ie. /Niger Sahara and Nigeria in the west and many other West African nations too. So this intermingling of peoples from the African continent, along with the spread of Islam, has resulted in Large Populations of African Arab peoples covering a vast area of Africa and Asia. Black African slaves who were brought there during the Arab slave trade. Along the Swahili Coast, such as in Zanzibar, Mombasa, Lamu, Malindi, the Comoros, Bagamoyo, and Ujiji. 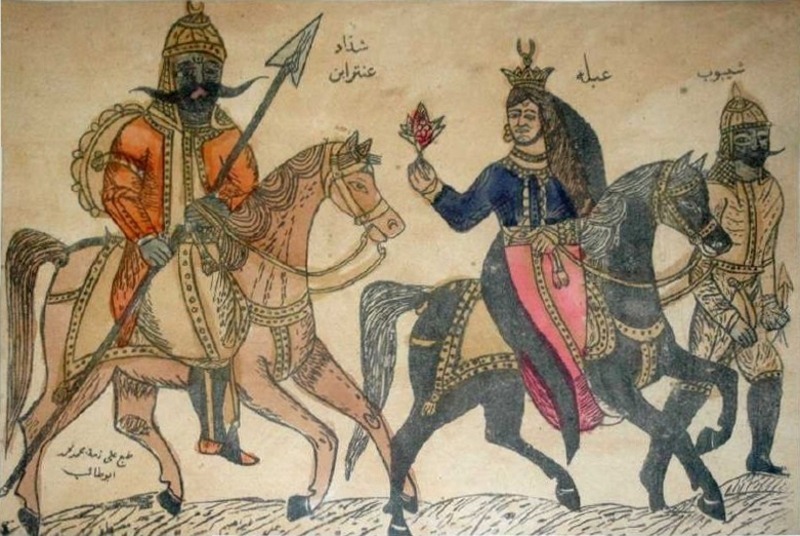 One of the most famous Afro Arabs of ancient times was the Pre Islamic Hero like figure Antar Ibn Shadded. Antarah Ibn Shaddād al-‘Absī عنترة بن شداد العبسي was a pre-Islamic Arab hero and poet born (525-608) famous for both his poetry and his adventurous life. What many consider his best or chief poem is contained in the Mu’allaqat. The account of his life forms the basis of a long and extravagant romance. An Ethiopian Female whom Shaddad had Enslaved after a Tribal War. The tribe neglected Antar at first, and he grew up in servitude. 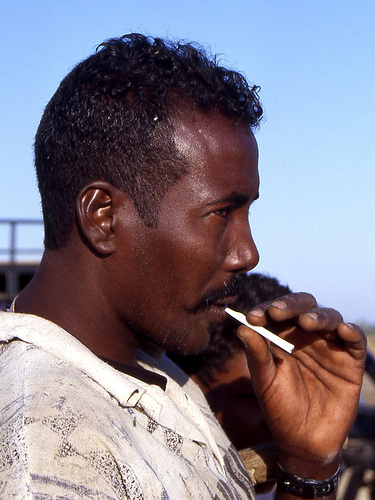 Ethiopian Dark Skin made it easier to classify him among the African-Asiatic slaves. Antara claimed attention and respect for himself by his remarkable personal qualities and courage in battle, excelling as an accomplished poet and a mighty warrior. In 1898 the French painter Étienne Dinet published his translation of a 13th-century epic Arab poem Antar which brought Antar bin Shaddad to European notice. It has been followed by a number of derivative works such as Diana Richmond’s Antar and Abla which furthered western exposure to the Antar bin Shaddad legends. The Zanj Rebellions took place near the city of Basra, located in southern Iraq over a period of fifteen years (869-883 AD). They grew to involve over 500,000 slaves who were imported from across the Muslim empire and claimed over “tens of thousands of lives in lower Iraq” . Who claimed to be a descendent of Caliph Ali ibn Abu Talib. Many where Slaves of Indian, Iranian and of Slavic ancestry. Because the East European Slavs would simply die in the humid heat of the salt marshes. It is believed that many of today’s Basra area “Afro Arabs” are Descending from one of these Zanj Groups though many May have settled that area under different circumstances via the Arab-African. In Medieval History, Ifriqiya or Ifriqiyah (Arabic: إفريقية‎) was the area comprising the coastal regions of what are today western Libya, Tunisia, and Eastern Algeria. Ifriqiya was bounded on the south by the semi-arid areas and salt marshes called el-Djerid. At various times, the rulers of this area also conquered Sicily and parts of mainland Italy, and the western boundary was in continual flux but usually went as far as Bejaia. Its Capital was Qayrawan (Kairouan) in Central Tunisia. Arabic Thought and its Place in History, De Lacy O’Leary, London: Kegan, Paul , p. 227-8 says: “Gradually the Arabs spread all along North Ifriqiya*/Africa and down to the desert edge, their tribes as a rule occupying the lower ground, whilst the older population had its chief centres in the mountainous districts. During the invasion of 45 (A.H.) the city of Kairouan (Qairouan, Qayrawan) was founded some distance south of Tunis. From their base in Kairouan the Aghlabids Conquered Sicily, beginning in 827 and establishing the Emirate of Sicily, which lasted until it was displaced by the Normans, effecting lasting changes in Sicilian culture. Ibn Khaldun, Histoire des Berbères et des dynasties musulmanes de l’Afrique; traduite de l’arabe par le baron de Slane; nouv. éd / pub. sous la direction de Paul Casanova, et suivie d’une bibliographie d’Ibn Khaldoun. 4 vols. Paris: P. Geuthner, 1925-34.